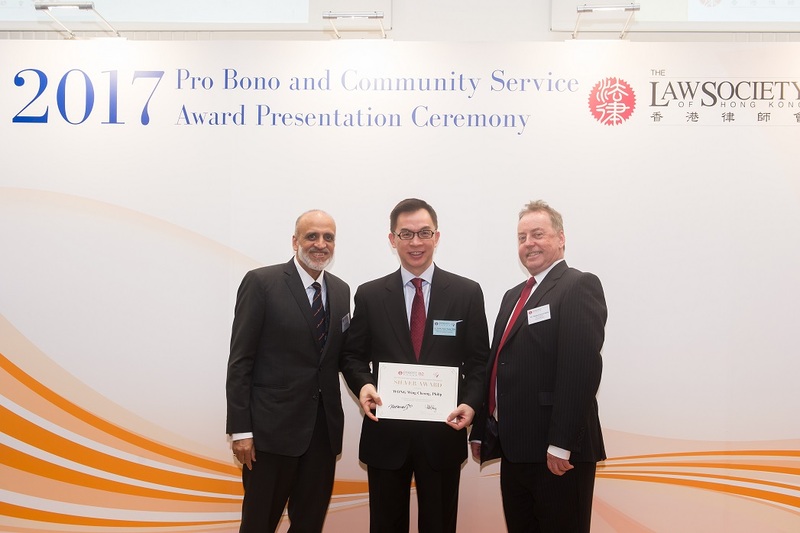 The Head of our Commercial Department, Mr Philip Wong, and our Partner, Mr Walter Lee have been awarded the Pro Bono Individual Award by The Law Society of Hong Kong. 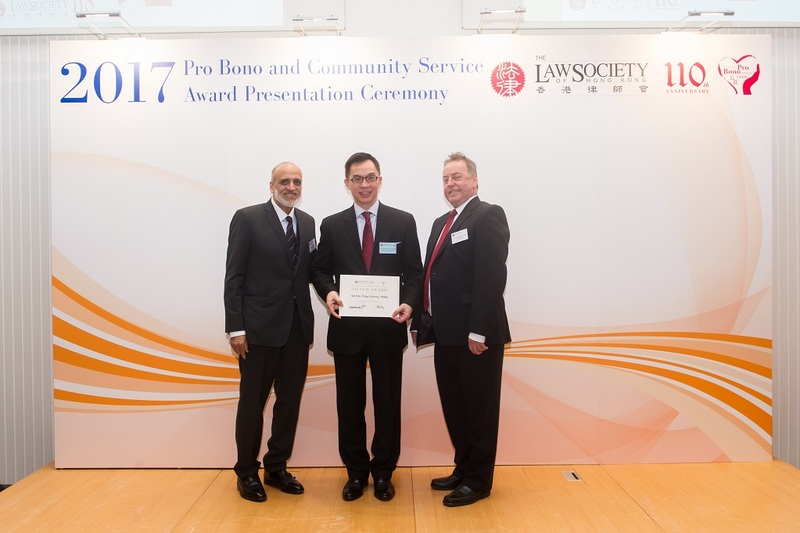 Having performed pro bono and community work of not less than 50 hours from 1 July 2016 to 30 June 2017, Mr Philip Wong received the Silver Award in the Award Presentation Ceremony held on 13 December 2017. 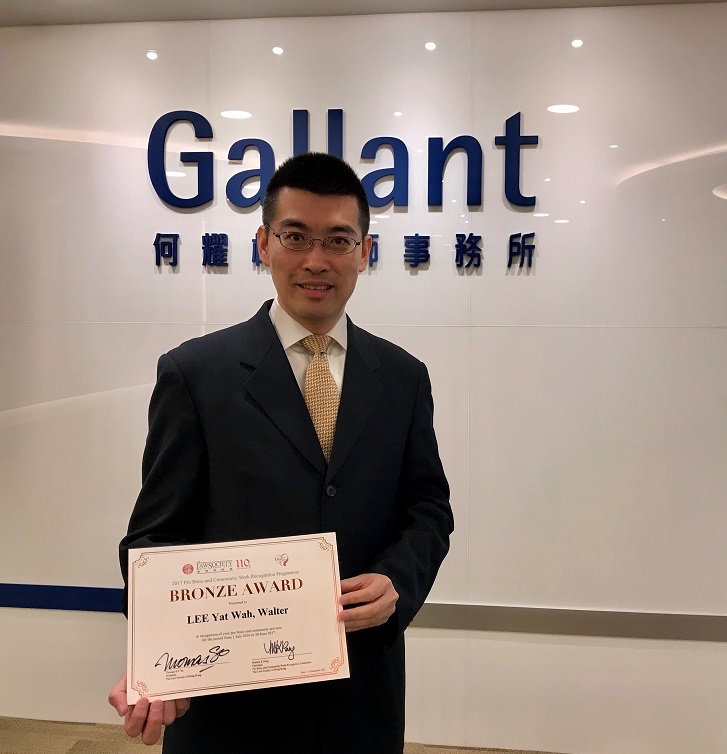 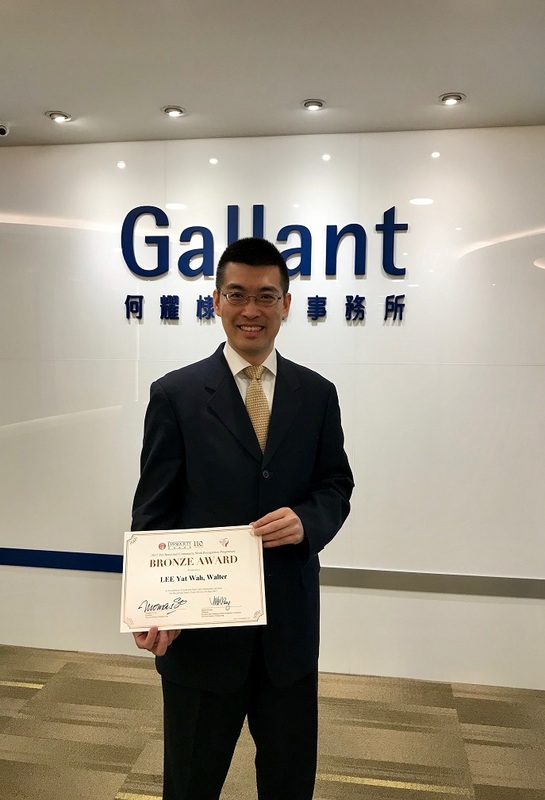 Mr Walter Lee also received the Bronze Award for performing pro bono and community work of not less than 20 hours from 1 July 2016 to 30 June 2017.